It’s time once again to reflect back on another year in my life and quite frankly, it has been a real eye opener for me well beyond much I already was aware of. I am largely speechless that both the Democrat and Republican Parties gave us the two worst candidates in history for president, Hillary Clinton and Donald Trump. As we now know, Trump won by the electoral college vote with Hillary winning the popular vote that has once again set off cries of the electoral college being outmoded and worthless by Democrats and early riots and unrest by some fringe Liberals over the outcome as efforts were also made to encourage electors to “vote their conscience” and elect anybody else besides Trump. That the Lazy C despises Republicans is well known in these parts and is likely the only real “indisputable fact” in all of Southwest Washington. And let’s face it; the local Republican Party makes it very easy for them with their ineptness and underhanded shenanigans to cling to control of the county party over keeping people informed. But, the Lazy C’s Greg Jayne, in finally admitting he is the Liberal we always believed him to be, should have done his homework before posting his latest Sunday editorial: “Republican Party abandoned its most worthy ideals,” where he pretty much seems to indicate anything worthy of them was only when they acted more Liberal than Democrats. He laments how they deny Gorebull warming even though the Environmental Protection Agency was created by Republican Richard Nixon in 1970. Ever since the 1973 Oil Embargo gave America long lines waiting to purchase gasoline for our vehicles and escalating prices, we keep hearing how we must end our dependence on foreign oil, seek alternative energy sources, conserve, drill our own or what have you. Democrat or Republican, it didn’t matter, all gave us rhetoric and lip service while we blue collar, middle class Americans suffered with higher expenses and less choices in what we choose to drive. In a way I was lucky during the 1973 oil crisis, I was still in the U.S. Army and stationed overseas in the country of Germany that saw a much greater embargo of oil from the Middle East than did America. I say I was lucky because we did not have gas lines over there and during the height of it all the German Government banned driving on Sunday, save taxi cabs and emergency vehicles. We in the Military who stood weekend duty had to seek a driving pass to be prominently displayed inside of the car to be out driving and even then, we could only drive to and from our duty. 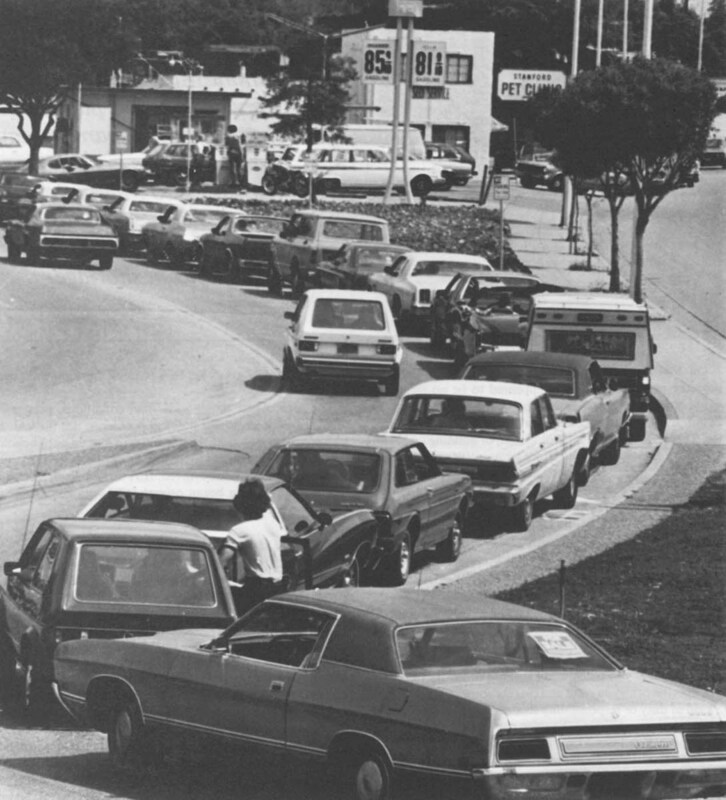 I never had to sit in a gas line until I returned to America in March 1974 and then only a few times as the crisis eased shortly after my return. I am struck that ever since that time, nearly 40 years ago, we continue to hear much of the same rhetoric coming from politicians of both parties and still, very little, if anything has actually changed. We still hear the calls of conserve, we are running out of oil, make cars more efficient, drill our own, don’t drill our own, we need to get off of foreign oil, whatever, much of the same rhetoric from 1973 is still heard in 2011. “We here in Washington must move away from crisis management, and we must establish clear goals for the future, immediate and the distant future, which will let us work together and not in conflict. Never again should we neglect a growing crisis like the shortage of energy, where further delay will only lead to more harsh and painful solutions. Every day we spend more than $120 million for foreign oil. This slows our economic growth, it lowers the value of the dollar overseas, and it aggravates unemployment and inflation here at home. Now we know what we must do, increase production. We must cut down on waste. And we must use more of those fuels which are plentiful and more permanent. We must be fair to people, and we must not disrupt our Nation’s economy and our budget. “to take other anti-inflation action–to expand our exports to protect American jobs threatened by unfair trade, to conserve energy, to increase production and to speed development of solar power, and to reassess our Nation’s technological superiority. American workers who enlist in the fight against inflation deserve not just our gratitude, but they deserve the protection of the real wage insurance proposal that I have already made to the Congress. “This Administration’s actions to end oil price controls and to dismantle the cumbersome regulatory apparatus associated with those controls demonstrate the intent stated in my February 18 economic message to minimize Federal intervention in the marketplace. Reforms in leasing policies and the removal of unnecessary environmental restrictions upon the production, delivery, and use of energy are part of this same effort to reduce bureaucratic burdens on all Americans. In his January 26, 1982 State of the Union address, President Reagan said, “By deregulating oil we’ve come closer to achieving energy independence and helped bring down the cost of gasoline and heating fuel,” setting us on a path of relatively economical and plentiful energy throughout the 1980’s, but still increasingly dependent upon foreign oil as much of our land locked oil sources remained blocked to recovery. “Extending hope and opportunity depends on a stable supply of energy that keeps America’s economy running and America’s environment clean. For too long our Nation has been dependent on foreign oil. And this dependence leaves us more vulnerable to hostile regimes, and to terrorists – who could cause huge disruptions of oil shipments … raise the price of oil … and do great harm to our economy. It is in our vital interest to diversify America’s energy supply – and the way forward is through technology. We must continue changing the way America generates electric power – by even greater use of clean coal technology … solar and wind energy … and clean, safe nuclear power. We need to press on with battery research for plug-in and hybrid vehicles, and expand the use of clean diesel vehicles and biodiesel fuel. We must continue investing in new methods of producing ethanol – using everything from wood chips, to grasses, to agricultural wastes. We have made a lot of progress, thanks to good policies in Washington and the strong response of the market. Now even more dramatic advances are within reach. Tonight, I ask Congress to join me in pursuing a great goal. Let us build on the work we have done and reduce gasoline usage in the United States by 20 percent in the next ten years – thereby cutting our total imports by the equivalent of three-quarters of all the oil we now import from the Middle East. To reach this goal, we must increase the supply of alternative fuels, by setting a mandatory Fuels Standard to require 35 billion gallons of renewable and alternative fuels in 2017 – this is nearly five times the current target. At the same time, we need to reform and modernize fuel economy standards for cars the way we did for light trucks – and conserve up to eight and a half billion more gallons of gasoline by 2017. A little noticed article by Reuters is claiming the President of the United States and 13 other world leaders were tried, convicted and sentenced to 20 years imprisonment for War Crimes. Presiding judge Veroljub Rakitic said, “In the name of the people…We sentence…to individual prison terms of 20 years each,” to applause from spectators in the Court Room as he read off the 14 names. The 14 were charged, tried and found guilty of inciting a war of aggression, war crimes against the civilian population, use of banned weapons, attempted murder and violation of territorial integrity. Rakitic said arrest warrants would be forthcoming. All 14 world leaders seemed unphased by the conviction, especially the United States President as he winds down his administration, preparing to hand over the reigns to a successor. During the three days of the trial, evidence included video, forensic and survivor’s accounts. Defense attorneys were present; one claiming the American President kept other world leaders in the dark bout the war crimes being committed. That same attorney said, “If I were the judge, and it’s a good thing I am not, I would…take a gun and shoot both the U.S. President and the other scum for all the evil they have done,” expressing regret that the courts penal code did not allow higher penalties. Our own media chose to ignore this trial and report, an unbelievable act given the media’s continual coverage of the scandalous administration. 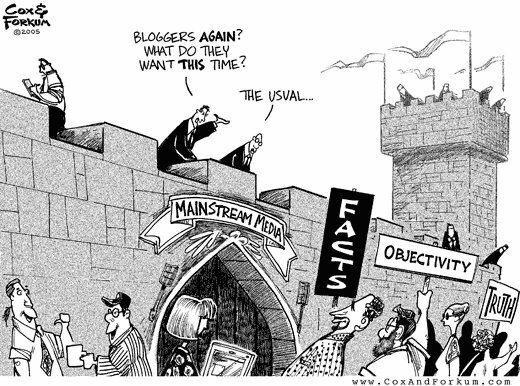 Reuters of Britain reported on the trial and conviction while American media focused their attention elsewhere, perhaps on the presidential campaign. It is unreported if arrest warrants actually were issued or if they would be served, had they been issued. No official announcement has been issued by the President’s office and it is highly doubtful that the President would voluntarily surrender. By now I am sure the Bush bashers are gleefully wringing their hands, expecting to see him “frog-marched” down the White House steps after Obama is inaugurated. As our most hated President, Bush bashers have wanted this very thing to happen to him. But, sorry to disappoint, this is not about President Bush, but was about President Bill Clinton back in September 2000, as his administration was winding down. It was about the actions he took in Yugoslavia, the trial held in Belgrade. As many of you gleefully wring your hands in anticipation of such a trail for George W. Bush and imprisonment of him, just remember, this is still hanging over the head of one of your own. For the record, I do not believe Clinton guilty of any war crimes and neither is Bush. Both acted within the authority of their office in dealing with threats abroad. The main difference being, you embraced Clinton for his actions and have accused Bush over his. If you intend to hold one accountable, then you must hold the other as well. Rest assured, Obama will be held equally accountable for his actions. You all set a tone this past 8 years so don’t be surprised as it returns to you.